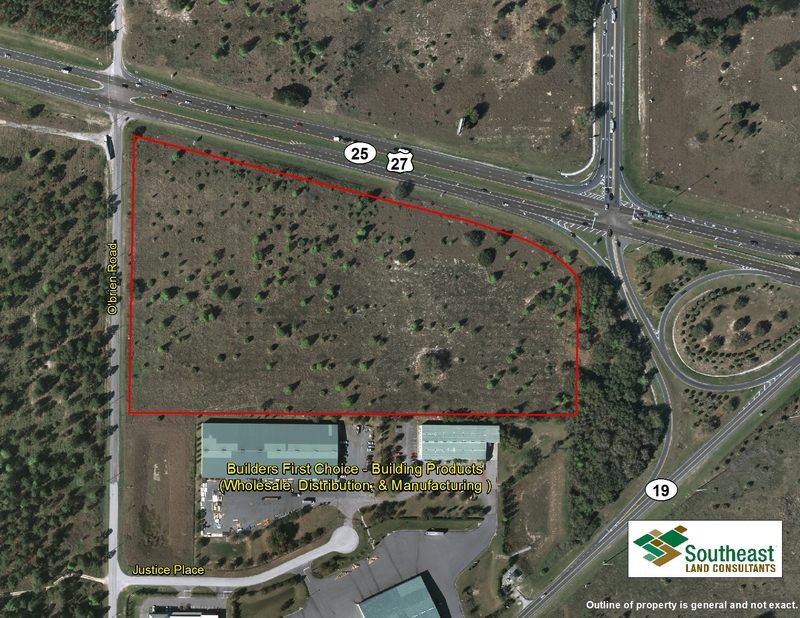 TAMPA, Fla. (November 2015) — Recognizing the potential for growth in Lake County, Cantero Holdings, LLC, purchased 21.06 acres of land at the intersection of U.S. Highway 27 and O’Brien Road in Groveland for $550,000. Bill Short, CCIM, of Tampa-based Southeast Land Consultants, Inc. (SLC) represented the seller, Redus Florida Land, LLC, doing business as Wells Fargo in the transaction. Included in growth plans is the development of Villa City, a 2,500-acre proposed residential development located along the U.S. Highway 27 Corridor. If completed, the neighborhood would add 5,600 homes with a projected population of 12,275 to the city of Groveland, which had just 9,100 residents in 2014.